Dysport Injections: Cost, Side Effects, Results, Recovery, etc. Dysport, also known by ‘Reloxin,’ is a cosmetic injection used to treat facial wrinkles. Similar to Botox, it contains a diluted version of the botulinum toxin. 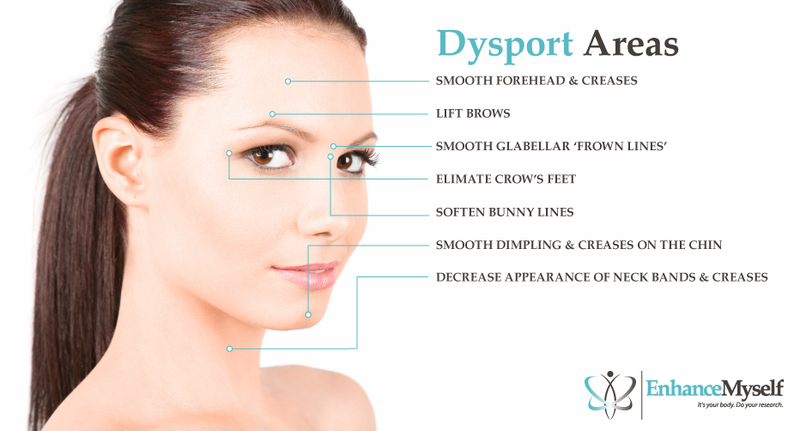 Dysport is injected to relax facial muscles, smoothing the wrinkles caused by movement of these muscles. This is a popular treatment for frown lines, laugh lines, and other facial folds. You may be a candidate if you have facial wrinkles that you wish to smooth. Many patients find that their frown lines and other facial lines make them look frustrated, angry, or tired, even when they’re not. Dysport is intended to treat facial wrinkles caused by movement of the underlying muscles. If the wrinkles you wish to treat are caused by sagging skin, other cosmetic fillers may be a better option. You should not be treated if you have a neuromuscular disease, or are pregnant or breastfeeding. However, most other adults in good overall health are medically able to undergo treatments. If you have already undergone one or more rounds of Dysport injections, you must wait at least 90 days before undergoing another session. The Dysport Procedure: How Does it Work? Dysport injections are performed in the doctor’s office, and no anesthesia is required. Treatment takes only about 30 minutes. Some doctors may offer a topical or local anesthetic prior to the injection in order to ease any potential discomfort. After carefully measuring the amount of solution to be injected, the doctor then injects the Dysport into the targeted facial muscle using a thin needle. Depending on the area being treated, smoothing the wrinkle may require a series of 3 to 5 injections; the spacing and amount of solution injected into each treatment location depends on the desired results. Once injected, it temporarily blocks signals from the nerves to the facial muscles, forcing them to relax. As a result, it causes the facial wrinkles lying over these muscles to smooth. After the doctor has completed the injections patients are free to leave the office immediately. 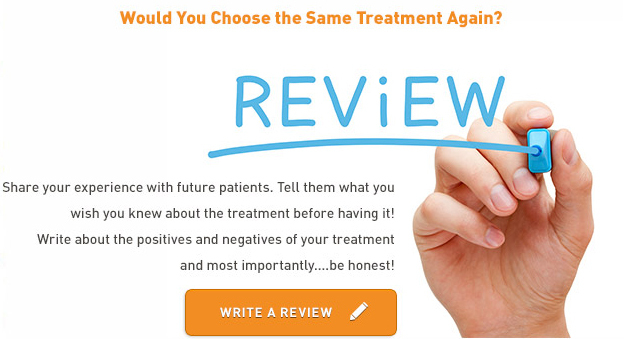 Although Dysport is considered a relatively safe, minimally-invasive procedure, it is not without risk. Some patients experience a minor headache for a day or two following the injection. In some cases, an allergic reaction may occur, which can cause a skin rash or flu-like symptoms. The Dysport injectable can also migrate outside the intended treatment area. Although rare, this complication can cause drooping eyelids, blurred or double vision, muscle weakness, difficulty enunciating, or trouble swallowing or breathing. These symptoms can show up hours or weeks after the injection. If you experience any of these symptoms, contact your doctor immediately. After the procedure, patients can return to work immediately, and to the gym and other strenuous activities within 2-3 days. Side effects are mild, and include swelling, bruising, redness, or tenderness in the treated area. Patients should avoid laying down or rubbing the treatment area for at least 12 hours, as this can cause the injected solution to move away from the targeted area. The results become apparent soon after treatment; most patients find that the full effects can be seen three to seven days after the injection. The results last for approximately 3 to 6 months. DID YOU HAVE DYSPORT INJECTIONS? Dysport injections usually cost around $300 to $500 per unit, placing them among the least expensive forms of cosmetic fillers. This price is dependent upon the number of units needed to achieve the desired result. One advantage of Dysport, is that it usually has a lower per-unit cost than Botox injections even though both contain similar ingredients. However, treatment may require more units of Dysport than it would require of Botox, resulting in similar overall costs. The total cost for treatments is usually around $600 to $1,000. Many doctors offer payment plans and financing options to make the treatment affordable.